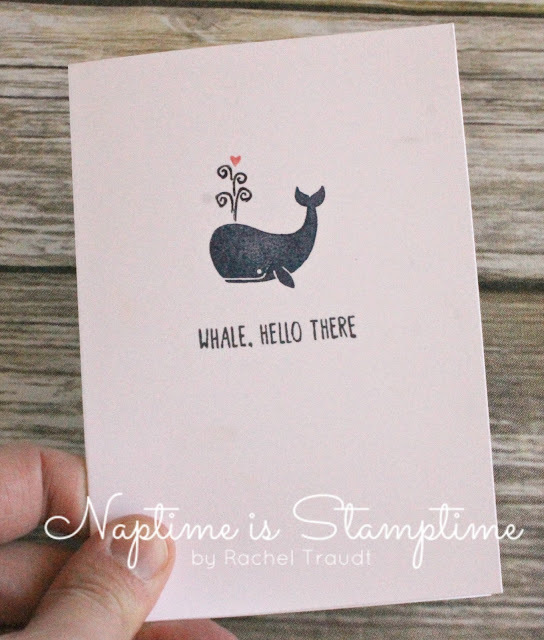 Welcome to April's Stamp 'n' Hop blog hop! We are a group of Stampin' Up! demonstrators from around the world, coming together to share our creativity with you. I am coming to you from Gilbert, Arizona, USA. This month we are featuring some of our favorite products from the 2017-2018 Annual Catalog. Now let me tell you, this card did not come about easily. Pregnancy hormones have been making me crazy this time around, and the last few weeks have been kind of rough. 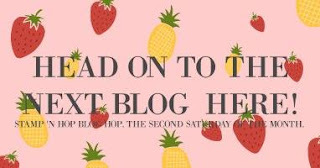 If you are a regular follower of my blog, you may have noticed an absence of posts this week. I just had to let something go, and this was it. 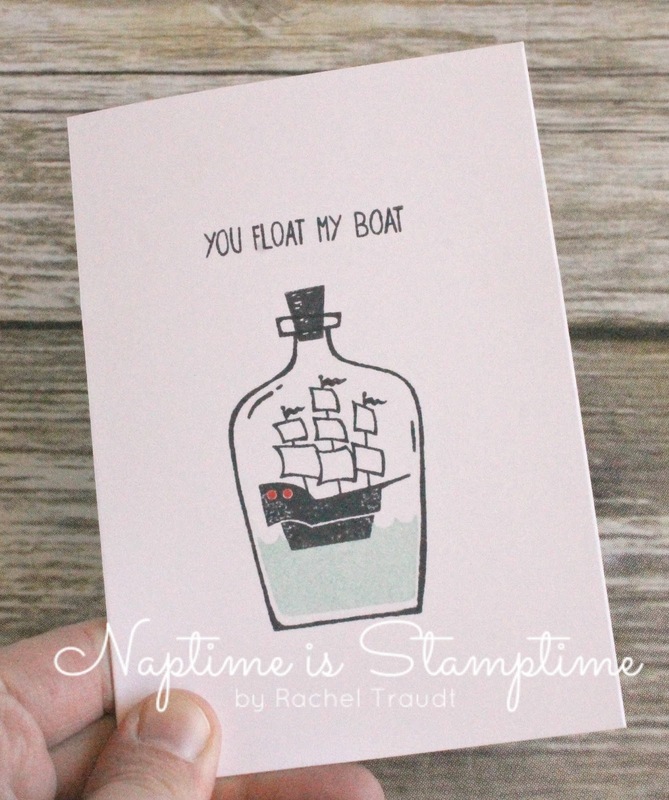 But I really wanted to participate in the blog hop, and so I picked a favorite stamp set that I hadn't used yet: Message in a Bottle. I've had this set for almost a YEAR, and it has been sitting on my shelf. I do have a project in mind for it, but I've been procrastinating on that. Long story short, this card was a struggle. But in the end, I like how it turned out. 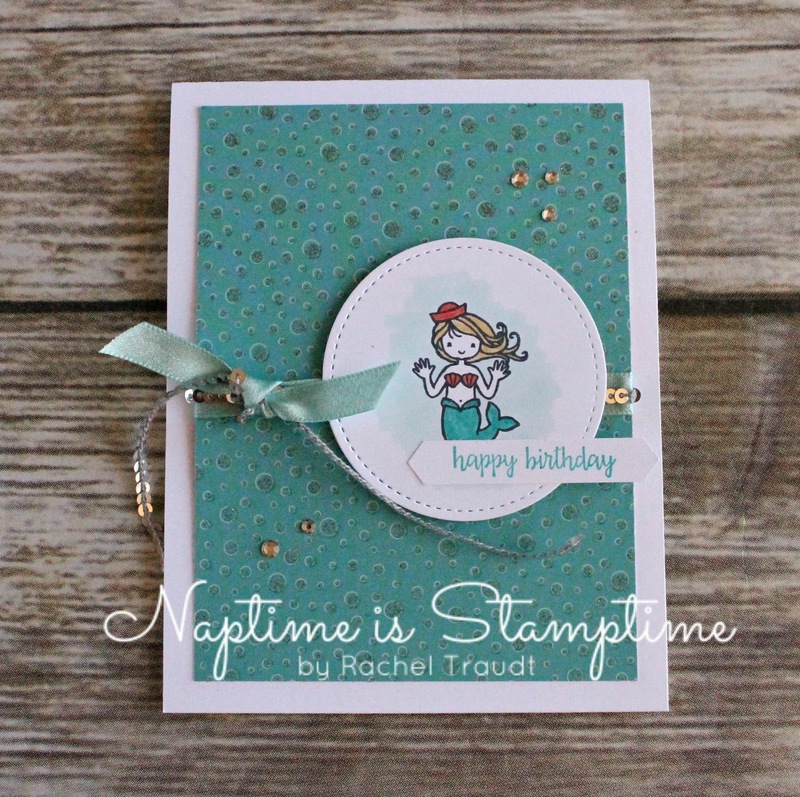 I used one of my other favorite stamp sets, Happy Birthday, Gorgeous, for the greeting, along with Pool Party Shimmer Ribbon and Silver Mini Sequin Trim, plus the Stitched Shapes Framelits, which are all sticking around. The background for the mermaid is colored with the Light Pool Party Stampin' Blend Marker, and I used Stampin' Write Markers in Bermuda Bay, Calypso Coral, and So Saffron to color the mermaid herself. The greeting is punched with the Classic Label Punch (also returning), which is a staple to have in your craft room. A little sprinkling of Rhinestones, and the card is complete! 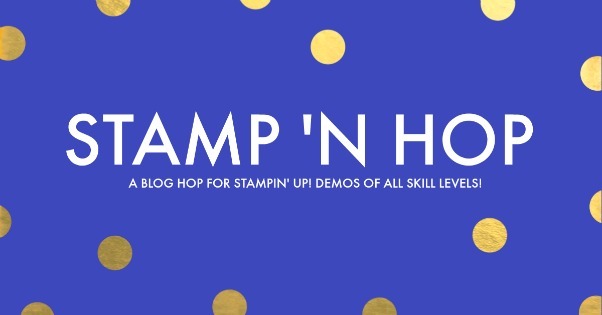 Please leave a comment and let me know what you think, and make sure to hop along to see what the rest of these talented demonstrators have to share with you! Rachel Traudt - you are here! Love the DSP on your first card. I will miss that one. i just got this set for the last order last month. I'm already having fun with it. thanks for the idea of note cards. love what you did with it. 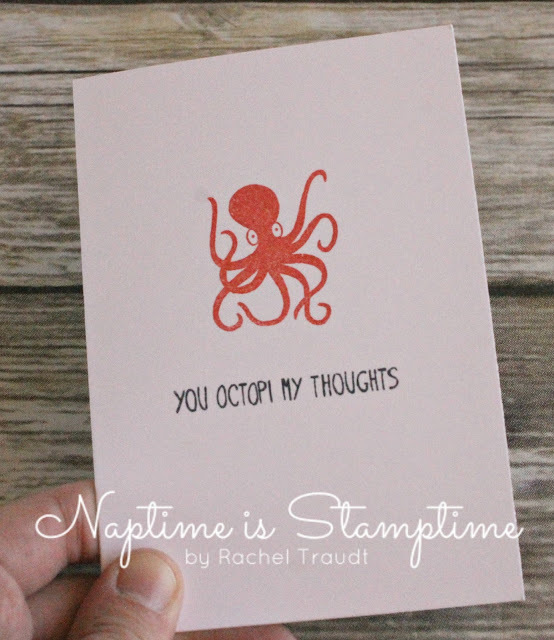 Your card is adorable! I love the notecards too! You did great! Way to persevere! These make nice note cards. Way to push through and create! Great project. Thanks so much for joining us. Your cards are all so fun! I agree that it is hard to pick a favorite! Love the mermaid card - especially how you have combined the ribbon and the sequins.